Hobgood is home to the former Atlantic Coastline Railroad Depot also know as The Hobgood Depot. The depot is located in Friendship Park in the center of town. 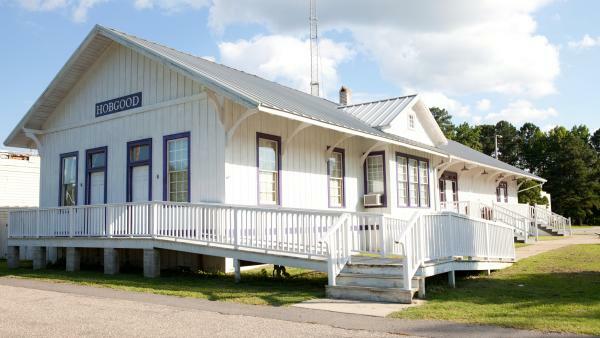 The depot serves as the center of all community activities and projects and includes Internet access for visitors, a conference room and railroad museum. A beautiful fountain can be found there surrounded by bronze plaques in honor/memory of the town's citizens.